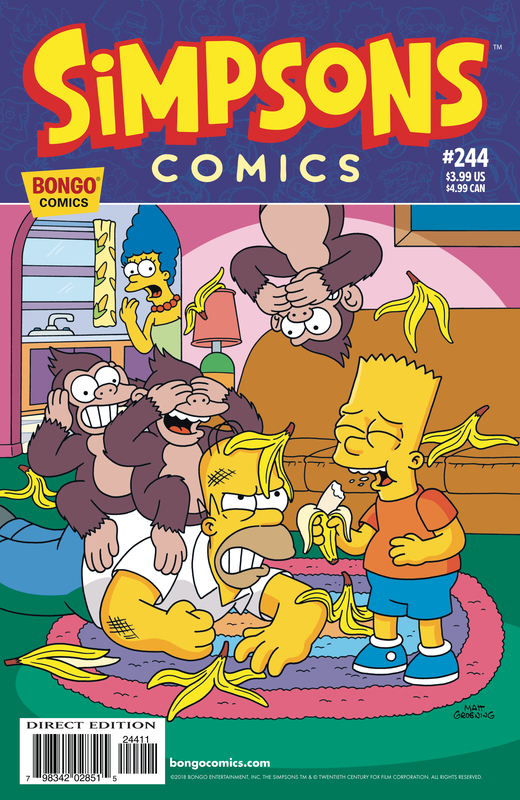 Simpsons Comics #244 is the two hundred and forth-second issue of Simpsons Comics and was released in June 2018. "Bart’s monkeyshines lead to actual chimp-tastrope, and the bad boy of Springfield finds himself filling in for Mr. Teeny on “The Krusty the Clown Show” and, literally, making a monkey out of himself." Modified on July 26, 2018, at 16:04.